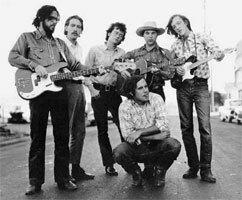 Groupe Country Rock US formé en 1967 à Ann Arbor (Michigan) et composé de George Frayne (Commander Cody) (né le 19/07/1944 à Ann Arbor (Michihan)), John Tichy, Bill Kirchen, Bruce Barlow, Billy C. Farlow, Lance Dickerson, Andy Stein, West Virginia Creeper et Bobby Black. 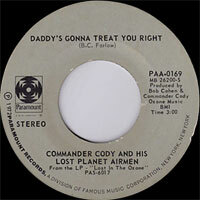 Commander Cody and His Lost Planet Airmen were equally adept at stripped-down basic rock & roll, R&B, and gritty country-rock. 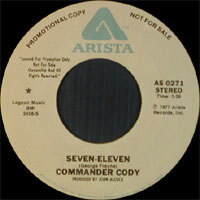 Commander Cody's country-rock rocked harder than the Eagles or Poco -- essentially, the group was a bar band. Much like English pub rock bands like Brinsley Schwarz and Ducks Deluxe, Commander Cody resisted the overblown and bombastic trends of early-'70s rock, preferring a basic no-frills approach. Commander Cody and the Lost Planet Airmen never had the impact of the British pub rockers, yet their straightforward energy gave their records a distinguishing drive; they could play country, Western swing, rockabilly, and R&B, and it all sounded convincing. The group originally formed in 1967 in Ann Arbor, MI. The original lineup included Commander Cody himself (born George Frayne IV; piano), John Tichy (lead guitar), Steve Schwartz (guitar), Steve Davis (aka the West Virginia Creeper; bass), and Ralph Mallory (drums). When the group relocated to San Francisco the following year, only Frayne, Bolton, and Tichy made the move; the group's membership had been bolstered to include Billy C. Farlow (Vocalss, harp), Andy Stein (fiddle, saxophone), guitarist Billy Kirchen, bassist "Buffalo" Bruce Barlow, and drummer Lance Dickerson for their 1971 debut album, Lost in the Ozone. The following year the group scored a fluke Top Ten hit with "Hot Rod Lincoln," taken from their first album, Lost in the Ozone. 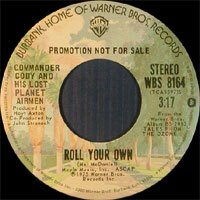 Commander Cody and His Lost Planet Airmen were never able to capitalize on the single's success, partially because their albums never completely captured their live energy. They continued to release albums until Tichy left the band in 1976. 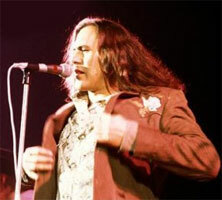 Commander Cody released his first solo album, Midnight Man, in 1977, then he re-formed the group as the Commander Cody Band. The group recorded three albums between 1977 and 1980. 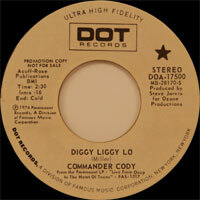 In 2009, after a 23-year hiatus, Commander Cody returned to the studio for Dopers, Drunks and Everyday Losers, a collection of new songs and classics from the Cody catalog. 198? SP PETER PAN 109 (US) Two Tripple Cheese / ? 02/2000 CD ATLANTIC / WEA 92865 (US) LIVE AT GILLEY'S - It Should Have Been Me / Hot Rod Lincoln / Seeds And Stems Again Blues / Beat Me Daddy, Eight To The Bar / Two Triple Cheese, Side Order Of Fries / Rock That Boogie / All Tore Up / Jukebox Jury / Rockabilly Funeral / Go To Hell / Going To New Jersey / Let's Rock!